PetRescueRadio.Com was created during a simple and heartwarming conversation with a friend following the loss of my beloved Border Terrier Mix, Trixie who had been with me for nearly 15 years. I had rescued Trixie when she was 9 months and she lived to the age of 15 years, 4 months and 3 days. Sadly, she was put down on Christmas Eve, 2018. Not a good night to have to put down your best friend but I was lucky she was even able to hold on that long. Following her journey to Pet heaven I found myself to be very empty inside, as if the foundation of our home had vanished as she was the glue that held the house together. Trixie is featured on our home page as part of our logo. She is the Border Terrier on the bottom right and the two Border Terriers on the top right are siblings in which I rescued some 7 weeks after the passing of Trixie. I already had known how lucky I was to have had Trixie for all of these years but I was also able to reflect on what if I had never rescued her. What if she never came into my life? What if no one ever rescued her and she would have become a statistic among millions? This was a beautiful soul that added such joy to me and my extended family, all while getting me through some very hard and difficult times. I often asked myself what would I have done without her? She was present through all the good and bad times! That's when the truth hit me. The truth that many of us ignore, not by choice. The truth that one million beautiful souls per year in our country will never get the chance to live out their lives and offer people like myself and you the unconditional love we don't even realize we're missing out on. Trixie did that for many years and PetRescueRadio.Com was created just for that purpose. To bring awareness and form relationships with Pet Shelters throughout the United States and help drive this message home of the importance of Pet rescue and Adoptions. The goal is to one day eradicate the sad truth that many of us don't even want to think about; Widespread Euthanasia to so many loving souls who will never get the chance to live out their lives. The reason why this Go Fund Me page was created is to offer something very different that has never been done before. A dedicated 24 hour internet radio station that plays a great variety of music (including many songs that are totally dedicated to our fur pets) as well as the most popular songs of the past 5 decades while offering educational , inspirational and fun facts about our Pets. Our live weekday shows from 2 PM - 4PM also shares valuable information regarding Pet Rescue and adoption shelters which includes a "Pet of the Day" feature and awareness bulletin about pets who need to be adopted and are even about to be euthanized. We are spreading awareness to the public in real time. We are the first station in the nation dedicated to Sheltered Pets from New York to California and every State in the union. Pet Rescue Radio even offers up Pet Owners song requests for those very special occasions that typically are never shared in the world of Broadcasting. Pets finally have a voice through our platform. 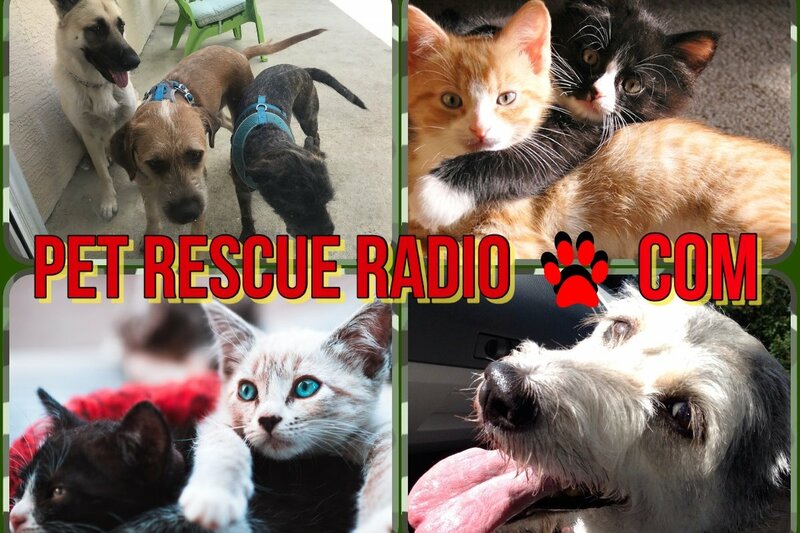 PetRescueRadio.Com concentrates on all the good we can do to rescue these wonderful Pets and find them a forever home. And we are doing it 24 Hours a day while being COMPLETELY COMMERCIAL FREE! I repeat, we are a COMMERCIAL FREE Radio Station! But the ONLY way PetRescueRadio.com can meet this mission and continue to grow is through this Go Fund Me page which will help the ongoing costs and daily expenses which includes and is not limited to Music Copyright Costs, Broadcast rights, Broadcast Equipment, Engineering, Web Promotions, Website Management, Marketing and more. Running a 24-Hour programmed radio station is costly and raising the $12,500 would certainly be a good start and set this station and its mission in the right direction. I have personally funded all start up costs to get this project off the ground but I will not be able to sustain it without the generosity of the public. We will not be charging any shelters a single dime for our services. Our mission is one and the same and as long as we can get the word out to save these wonderful souls, we will be able to meet our goals by adding new shelters to our list on a daily basis. We ask you to donate anything you can and spread the word to your friends and Pet Lovers everywhere who love their pets to keep our station alive so we can spread the word 24 hours a day about Pet Rescue and Pet Welfare across America. It's hard to put a price on something that is priceless. I am looking to raise a minimum of $12,500 to secure the future of this Internet Radio Station which is unlike any other. Thank you for helping our cause.